Feeling guilty about missing the gym too often because you wanted to sleep in? Book yourself a staycation at Naad Wellness centre – a holistic wellness place located just an hour’s drive away from Delhi, in Sonepat, offering a wide variety of different forms of healing and fitness therapy to leave us rejuvenated. Enjoy the elegant ambience, welcomed by Naturopathic and Ayurvedic physicians, who determine your bioenergies or doshas. Discover a mix of traditional and previously unheard of therapeutic treatments from India and across the world – Turkish Hamam, Udwarthanam, Padabhyanga, Swedish massage and others. Pick your preference from quality premium suites, or ultra-modern rooms for a comforting and luxurious experience. With Himalayan Salt Cave Therapy, you’ll breathe in purity and cleanse your being with pink salt vapour, which heals and relaxes. Detoxify your entire system like never before, and emerge absolutely refreshed. Energise yourself and strengthen up with Naad’s’s aromatherapy, which is an essential intensive treatment with fragrant blends. Immerse in tranquility with Naad’s music therapy to battle mood swings, anxiety and chronic pain. The calming feature of melodies soothes us wholly and instantly. The best part–there is a dedicated music therapy room at the centre to let guests enjoy their favourite rhythms. The centre also offers a team of highly-qualified clinical experts for personalised care and attention with remedial advice. An epitome of relaxation, we recommend NAAD’s culinary experience, comprising all organic food, which is specially curated for every individual basis their wellness objectives, in consultation with the Executive Chef. Think wholesome health and freshness. 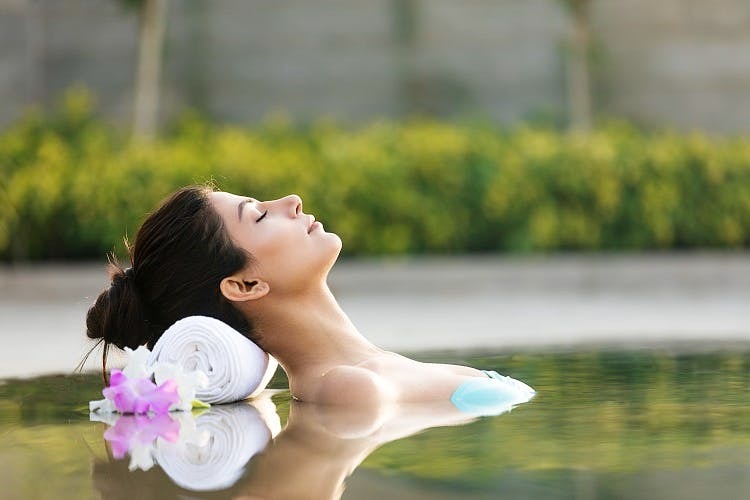 Naad Wellness retreat is a personal indulgence we recommend for a sublime experience. With packages ranging from a 3-day to a 28-day stay, as well as with highly-discounted membership options, we recommend bookmarking the next upcoming long weekend.